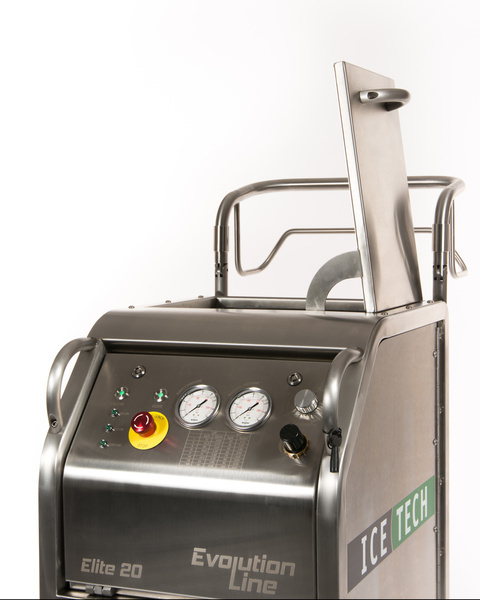 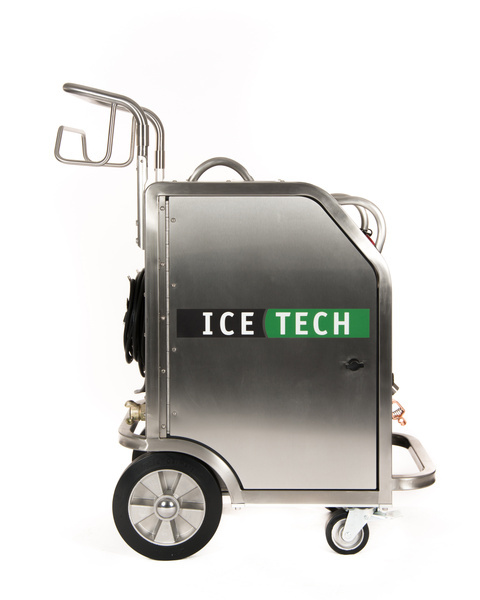 Home > Dry Ice Blasting > Dry Ice Blasting Machines > Legacy Dry Ice Blasting Machines > IceTech Elite 20 1/2"
The Elite 20 1/2" dry ice blasting machine is the ideal solution for sensitive industrial cleaning. 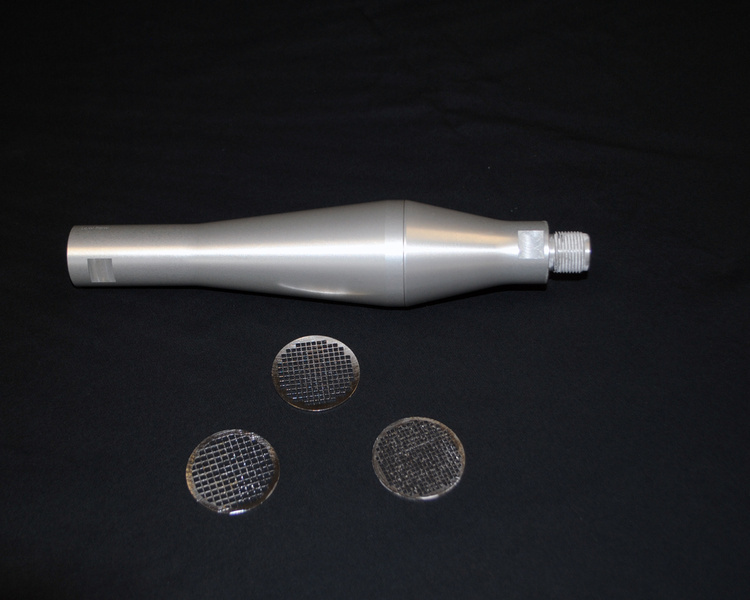 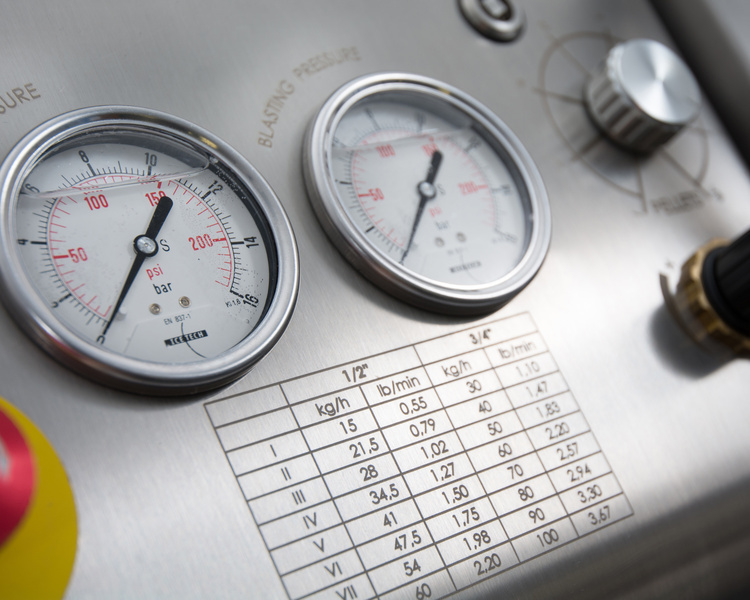 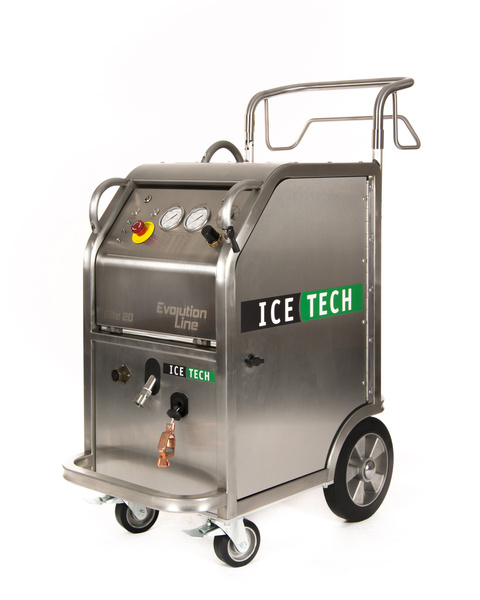 The blasting dry ice consumption contributes to this flexibility because it can be adjust from 0.5 pounds per minute up to 2.2 pounds per minute for the versatility needed for delicate jobs. 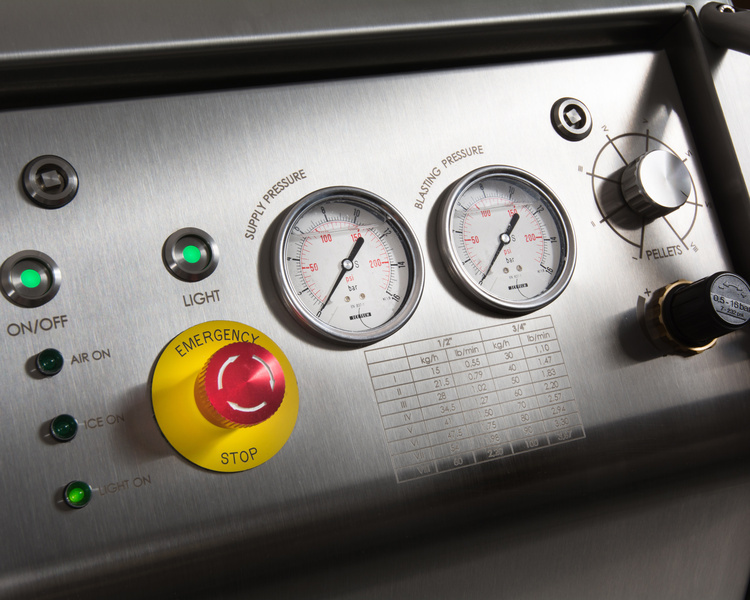 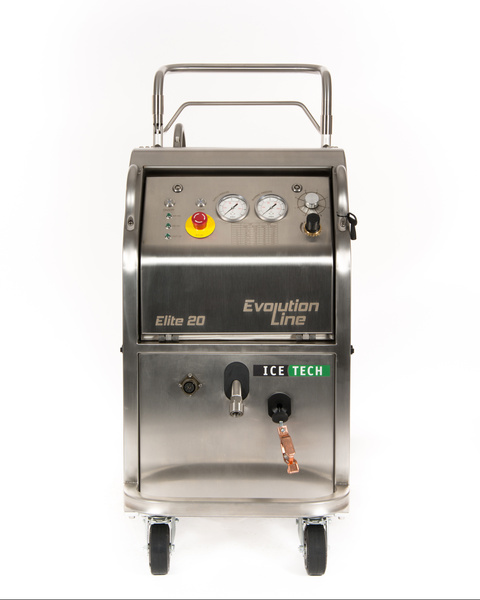 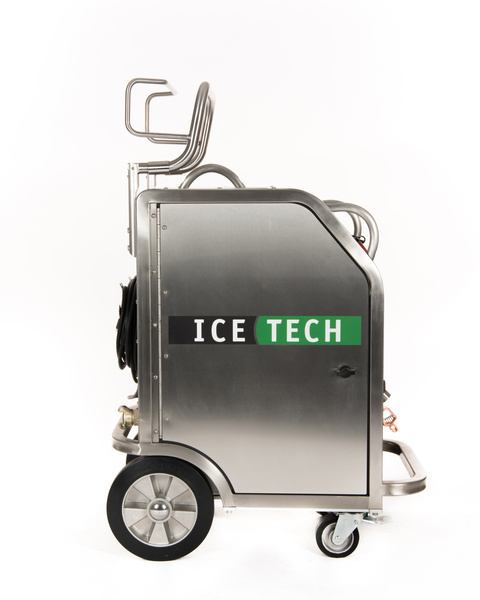 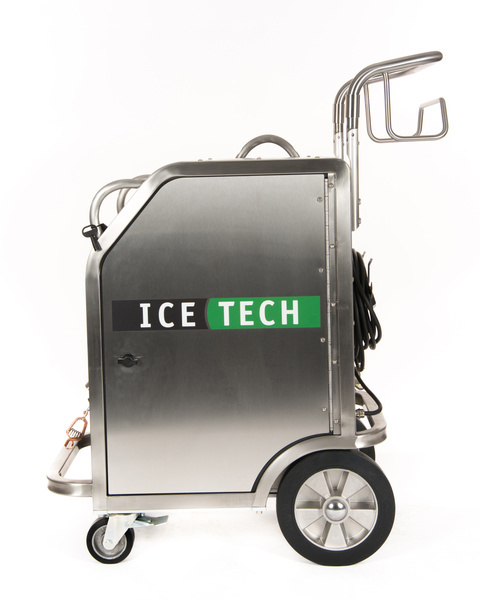 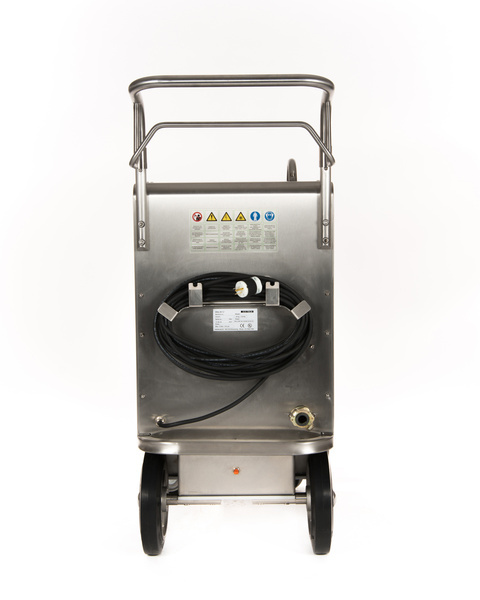 All of the multi-powered dry ice blasting machines in the Evolution Line offer a stainless steel modern design with a powerful 24 volt DC motor, user friendly control panels with LED notifications, insulated hoppers with a sideways 90 degree opening for easy access and a quick change dosing disc for straight-forward maintenance. 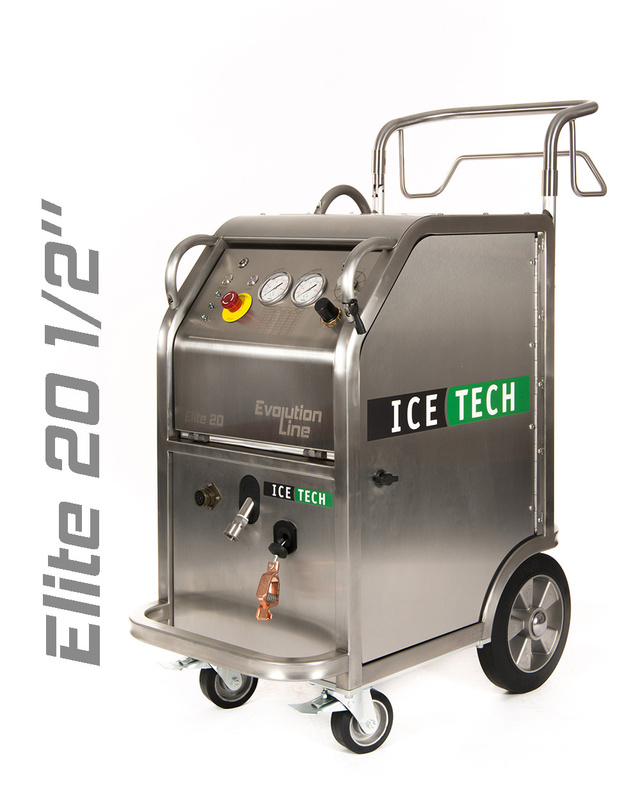 For maximum portability and for efficient storage, the Elite 20 1/2" is equipped with a vertical, collapsible handle and slick, full rubber tires. 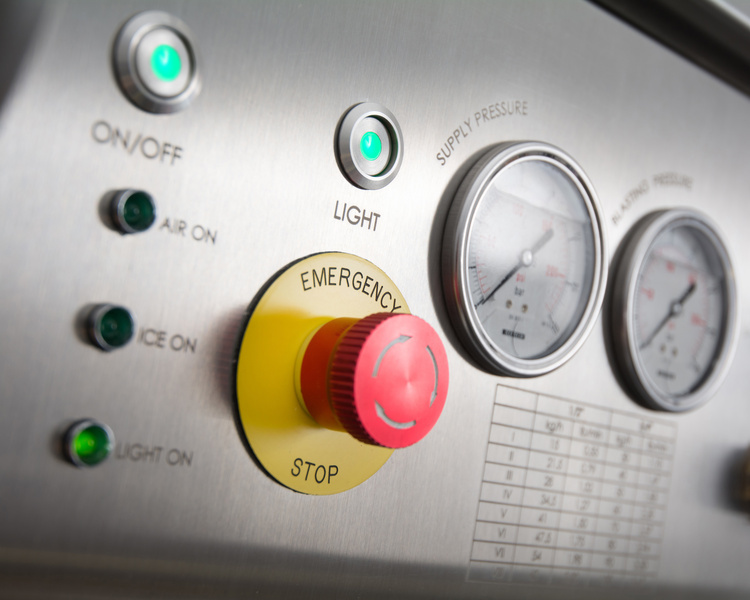 In addition, the hinged doors with steel black rotation locks allow easy access for routine maintenance. 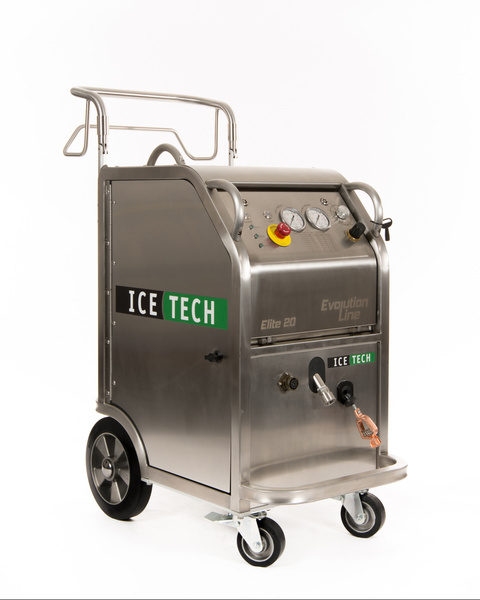 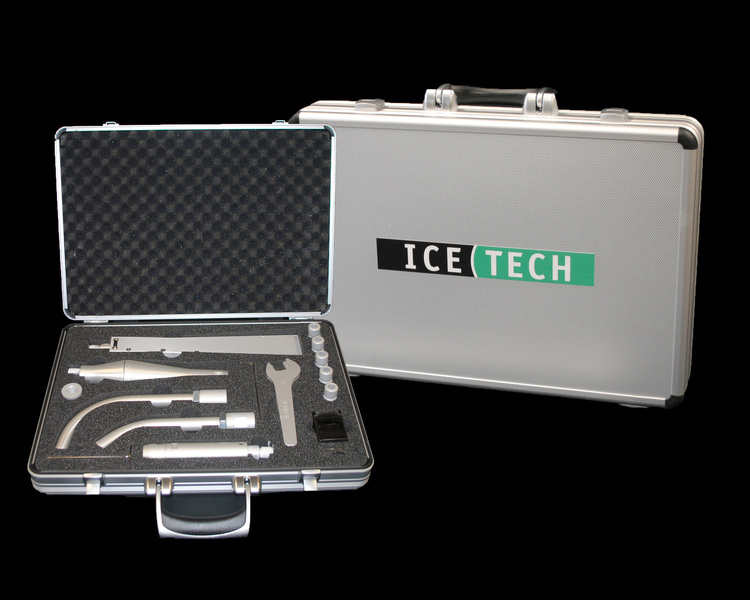 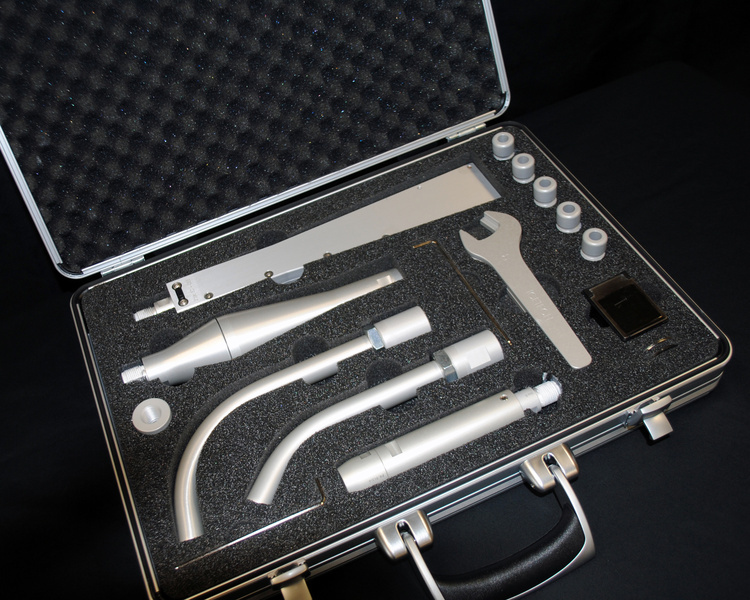 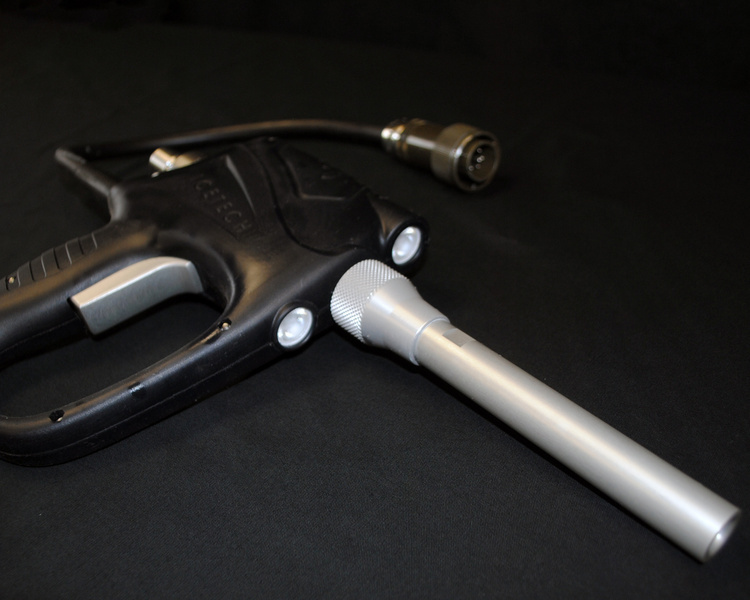 Options include lighted or non-lighted 1/2" standard IceGuns, electric vibrators and various lengths of durable and flexible blasting hose.